Suspense and thriller readers – where are you? On Tuesday book bloggers from around Australia attended a “National Book Bloggers Forum” at the offices of Random House Australia (RHA) in North Sydney. Digital gurus, editors and the RHA publicity team all pitched in. We were given insights about Search Engine Optimisation and how to use Google Analytics to drive relevant traffic to our blogs. We were told about up-and-coming titles and given a goodie bag full of books. Authors including Judy Nunn, Sneh Roy and Bruce McCabe spoke about their books and writing process. Throughout the day, Twitter was awash with the hashtag #NBBF14. In the breaks, and over a generous lunch, names, cards, twitter handles and blog URLs were swapped among participants. 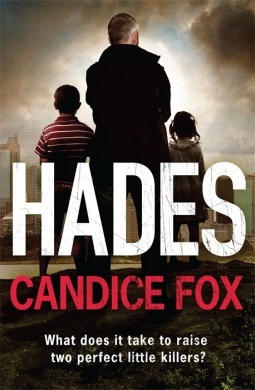 I was especially interested in the pitches for thrillers, including Bruce McCabe’s debut Skinjob (in the goodie bag, so more of that another time) and Candice Fox’s forthcoming follow up to Hades, Eden. Eden – no cover available – was introduced by publisher Beverley Cousins. Cousins pitched Fox as an “Australian Gillian Flynn”. I’m not convinced of that. Cousins was once editor for the Nicci French writing duo – from memory, she worked on Secret Smile, one of the creepiest of the NF books. To me, that’s a closer fit with Fox and Hades. (If you’ve read my reviews of Hades, Flynn’s Gone Girl, and my discussion of Nicci French’s writing, you’ll know what I mean.) Maybe Eden will be different. 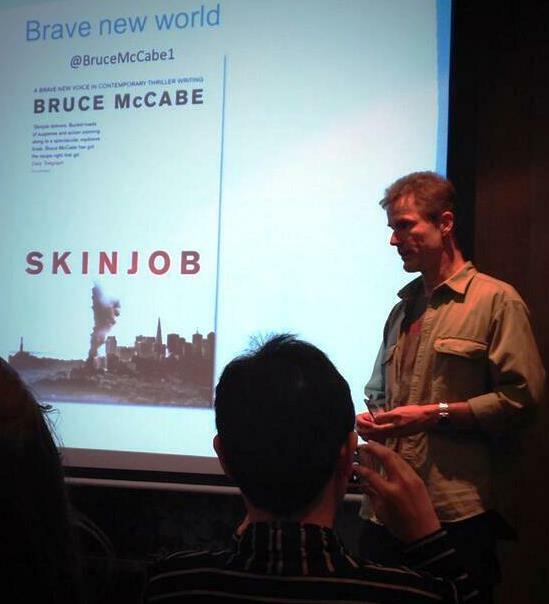 In the open forum at the end, I asked whether there were any other bloggers who review crime and suspense novels. Only one person put up her hand, Debbish from Debbishdotcom. Most of the others, I think, specialise in YA and teen fiction, although I did come across a “vlogger” who reads classics, and there were at least two who specialise in nonfiction. So where are all the crime fiction readers/bloggers? Maybe they all live in Melbourne? Do you read crime, thrillers and/or suspense fiction?